Junk Food Jones: Reese's Snowmen, Dude! 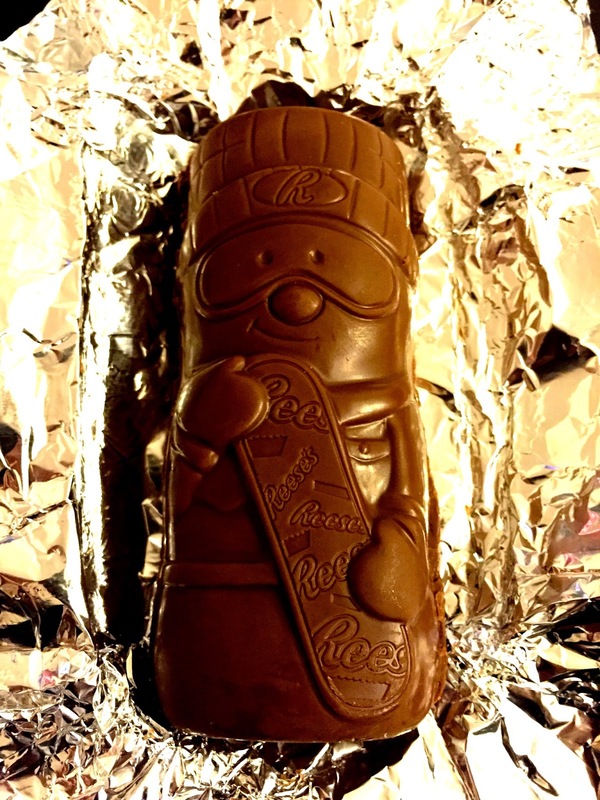 We’re right smack-dab in the middle of Reese’s Season, marked by the annual arrival of The Reese’s Snowman. Gaze upon it in all its majesty and feel the wonder of its ginormous peanut butter/chocolate goodness. 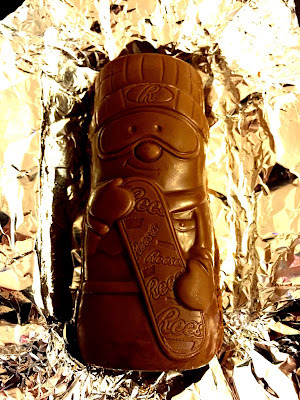 Okay, so the Reese’s Snowman’s goggles and snowboard do make him look a lot like a candy version of Poochie the Rapping Dog from The Simpsons but who cares? He’s so good he’ll be in your belly before you have time to dwell on how kind of lame he looks. The pumpkins, trees, small hearts and Easter eggs are amazing – don’t get me wrong - but the snowmen, big ol’ Valentine’s hearts and the Reester Bunnies are the reason for the season. Biting through the thick layer of chocolate into the even thicker peanut butter is a near-religious experience. That these big boys only come around once a year makes them even more precious. And the fact that I saw Valentine’s candy in stores two days before Christmas means that even if you missed the Reese's Snowman, you’ve got plenty of chances to score a giant Reese’s Heart before February 14th. And, with the way stores keep rushing the season, I wouldn’t be surprised to see the Reester Bunny on shelves before New Year’s Day. Happy hunting! Peanuts + Coca-Cola = ?